With this application you can change the difficult of the game. More players means harder mobs and better loot, so that&#39;s the best way of farming. 1. Start the program and set the player number. 2. 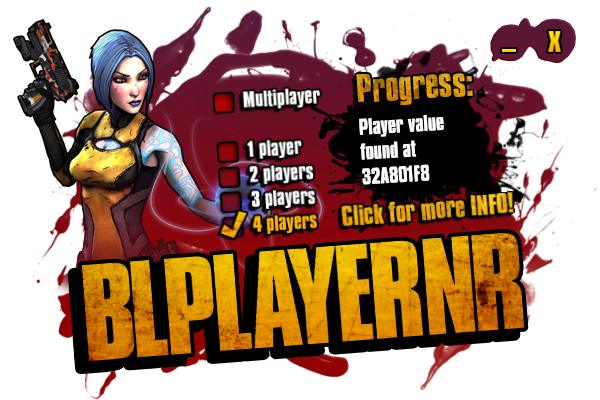 Start Borderlands and start playing. 3. Press ALT+Q for changing the value. 2. Start Borderlands and start playing alone. 3. Press ALT+Q for scanning, then wait for the other players to join. 4. After everyone joined, press ALT+Q again for changing the value. Note: every time you save and quit, you have to rescan!